For the subtle sophisticate. 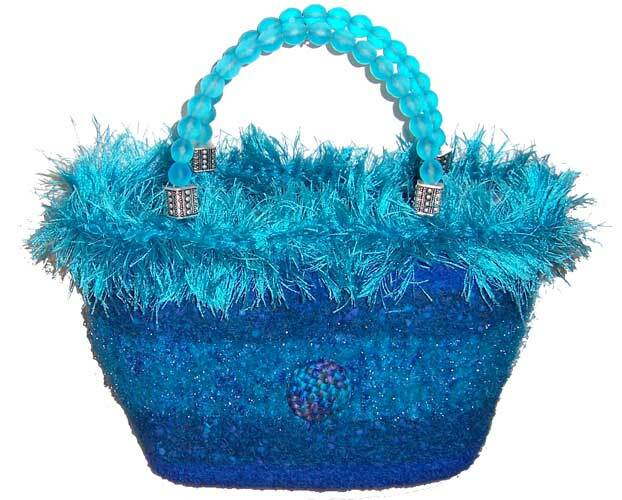 A lovely turquoise and blue handbag with a handmade woven button. Turquoise fur trim and handles. Approximate dimensions are 7" (h) x 9" (w) x 4" (d).